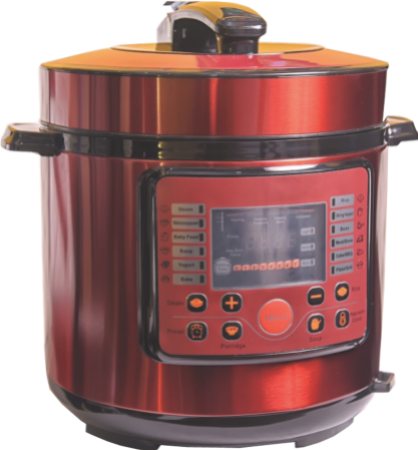 The large 6-quart pot makes this pressure cooker perfect for families are constantly on-the-go. Imagine coming home to savory soups, hearty stews, or sweet desserts packed with the necessary vitamins and nutrients to keep up with a busy lifestyle. It is the ideal kitchen appliance for large families or households who are looking for a faster way to better cook their meals and is perfect for creating that perfect dish for the next dinner party. With the Carioles Multi-functional Electric Pressure Cooker, cooking in the kitchen has never been easier.